The Chancellor of the Peralta Community College District, Dr. José M. Ortiz, is pleased to announce that Calvin Madlock, previously the Director of Information Technology Services at Antelope Valley College District in Lancaster, California, has assumed the post of Associate Vice Chancellor for Information Technology at the Peralta Colleges. Mr. Madlock, who reports to Peralta’s Vice Chancellor for Finance, Ron Gerhard, will oversee technology services at the four Peralta Colleges – Berkeley City College, College of Alameda and Laney and Merritt Colleges in Oakland. He started in the position on Sept. 5, 2012. While at Antelope Valley, Mr. Madlock provided administrative and instructional technology services for approximately 20,000 students and 1,200 employees. Previously, Mr. Madlock was employed at the Los Angeles Community College District as an Information Technology Project Manager. 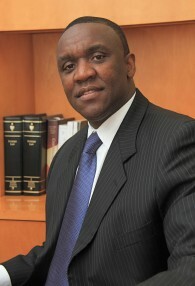 Prior to Mr. Madlock’s career in academia, he worked in the corporate arena, providing professional computer services for Farmers Insurance, Nissan Motors, Toyota, Ralph’s Grocery, Kaiser Permanente, United Airlines, Rockwell International and Hughes Aircraft. Mr. Madlock holds a Master’s of Science degree in Information Technology from Capella University, a Bachelor’s of Science degree in Computer and Information Systems from Northwestern State University, a Project Management Professional certification from the Project Management Institute and a Project Management certificate from the UCLA Extension Program. He also earned an Associate of Arts degree in Physical Education from Northwest Mississippi Community College in Senatobia, Mississippi. A basketball player at North Panola High School and Northwest Mississippi Community College, Mr. Madlock captured national attention. He received an Academic All-American Award at Northwestern State University. Mr. Madlock is also recognized for his community service efforts and serves on a number of boards.